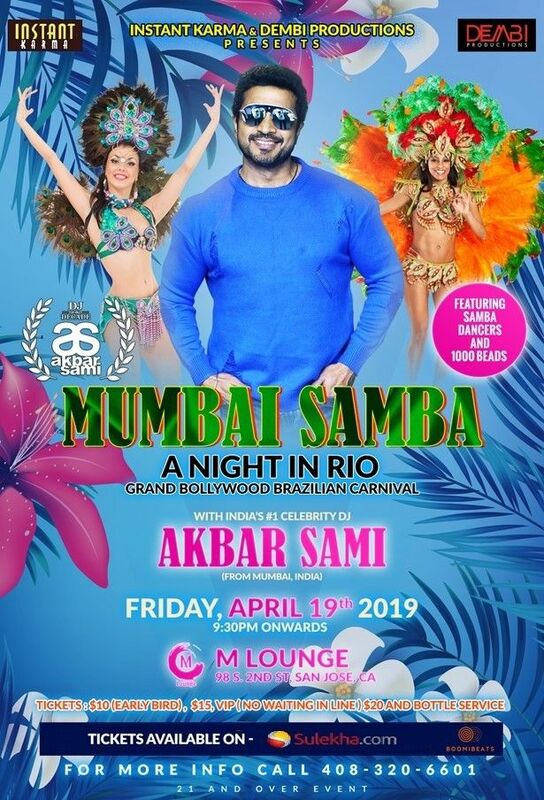 Please note Mumbai Samba : A GRAND Brazilian Carnival with India's #1 Celebrity DJ Akbar Sam occurred in past. 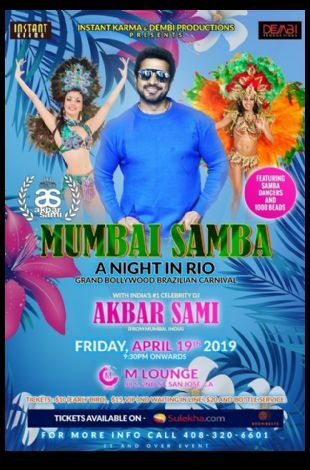 Bay Area brace yourself to get mesmerized by Remix King DJ Akbar Sami. The First Ever Indian DJ, ever so Popular WorldWide. Channel MTV, Channel [V] Music DJ and Hit Music Producer. He has done official remixes for "Wanted", "Partner", "Namaste London", Bhool Bhulaiyaa", "36 China Town". He was a creator of the record-breaking album like "Jalwa", Jalwa 2" and "Jalwa 2010". Strictly 21 & over only.